My name is Jalil, and I had been dreaming of living in the United States for many years. My dream finally came true in 2011 when I won the green card lottery. This made my family indescribably happy. 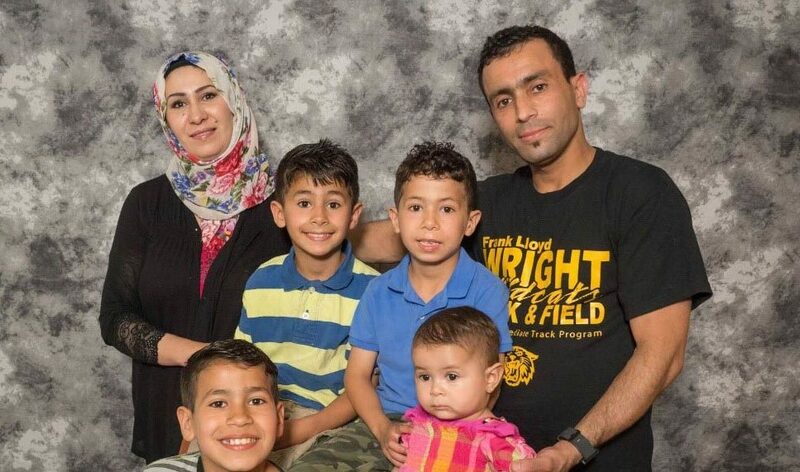 In 2012, I came to the U.S. with my wife, Aida, and our three children. I chose Madison to start a new, happy life, founded on raising my children well and giving them the education they need to achieve upward mobility. In my home country, the lack of social justice as well as poor education and healthcare negatively impacted my family, especially my children. I faced many difficulties at the beginning of our move to the U.S., including language barriers, finding a job, helping my children with their homework and assimilating. It was particularly difficult for Aida, who was always busy with the house and children. It was my wife’s support, in good times and bad, that motivated me to work and study. I did it for my family. In 2014, I applied for a home through Habitat for Humanity and was unfortunately declined. I waited until 2015 and worked hard to meet the eligibility requirements. A chance to own a home through Habitat for Humanity is invaluable, especially for limited-income families. We are so happy to finally be selected. Home ownership has been a dream for us, because a home means stability and safety. We know that we would have not been able to afford a home without the help of Habitat. Habitat for Humanity reflects an act of humanness that I have never experienced in my life. It brought back smiles and happiness to my family and gave hope to my children. A new home for us means a place to celebrate cultural activities and never having to worry about getting the landlord’s permission. I am so proud to be a part of Habitat for Humanity and make my family’s dream of home ownership come true. Now my children can have a safe space and their own swing set. Finally, I would like to thank Habitat for Humanity. I am so grateful to the sponsors and volunteers, who are the lifeblood of this great organization.